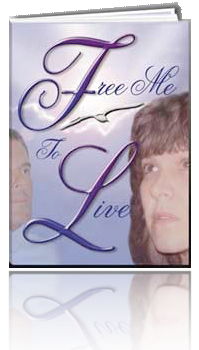 An alumni of Free Me to Live has written a new book! Over a period of ten years, a woman in Canada was busy trying to get through life’s deep hurts. She sought the counsel of a woman she knew from church. This led her to a FREE ME TO LIVE support group held in the woman’s home. She attended the support faithfully and it seemed to help, however, she realized she needed more work. Thus, when the next layer of pain came to the surface, she took FREE ME TO LIVE a second, third, fourth, fifth, sixth, seventh, eighth, ninth and yes, even a tenth time. It was after this tenth time she realized she was “free indeed!” She then embarked on writing her story as a book. The book was published in 2012 and she has had the opportunity to tell her story in many places in Canada. Join Ken and all the alumni of FREE ME TO LIVE as we lift praise to our Heavenly Father, YHWH, EL Shaddia, the great IAM THAT IAM! I am so filled with joy, knowing so many of our alumni are now leading others into healing.